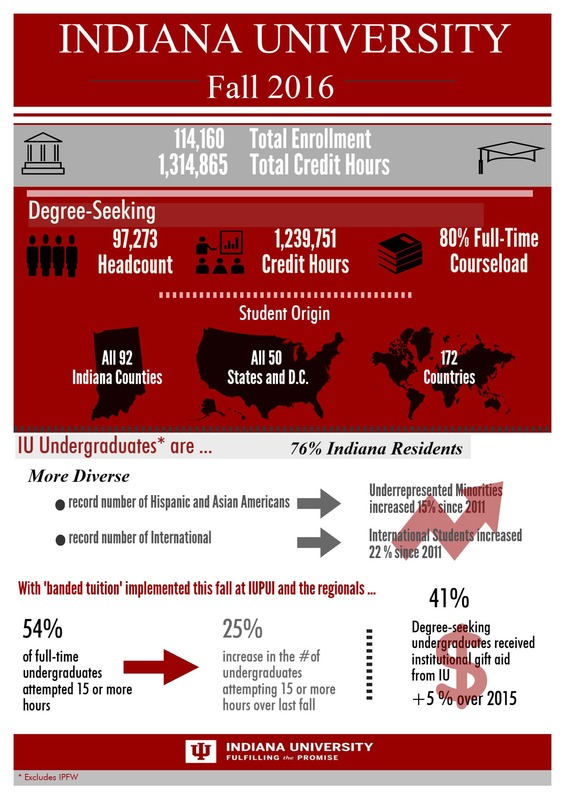 University Institutional Research and Reporting (UIRR) completes myriad federal and state compliance reports and produces official university reports on admissions, enrollment, retention, graduation rates, degree completions, and financial aid for Indiana University and all its campuses. UIRR maintains and provides data that support IU's compliance-reporting, accreditation, decision-making, and strategic planning processes. UIRR is part of the Office of the Executive Vice President for University Academic Affairs.